In his first crack at BAMMA gold, Mike Shipman left no doubt that he’s championship material. The co-main event of BAMMA 31 at The SSE Arena in London, England saw reigning middleweight champion Yannick Bahati attempt to defend his title against Shipman. It ended poorly for him as he found himself knocked out cold by a spinning backfist from Shipman in the third round of their contest. 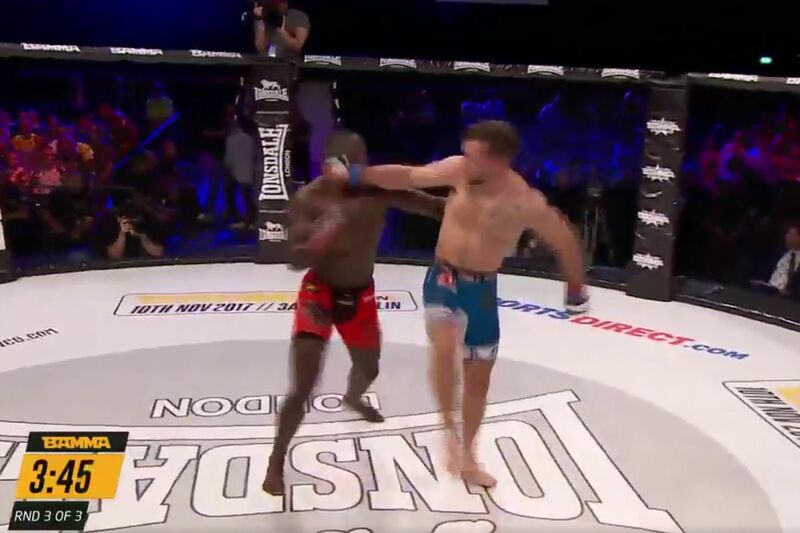 Though “Sea Bass” (now undefeated in 11 consecutive appearances) has previously competed for Bellator, and held a title in the UK’s Ultimate Challenge MMA promotion, this has to be considered the most high-profile and most spectacular win of Shipman’s career to date.